Smiley Face Temporary Tattoos - pack of 12. 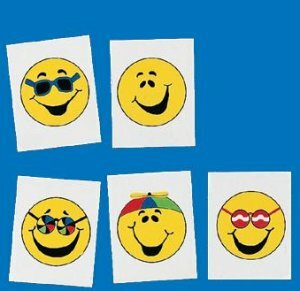 Each pack has a varied selection of smiley faces and are particularly popular with children. These tattoos match perfectly with the smiley face sticker selection and are ideal gifts at Sunday schools.